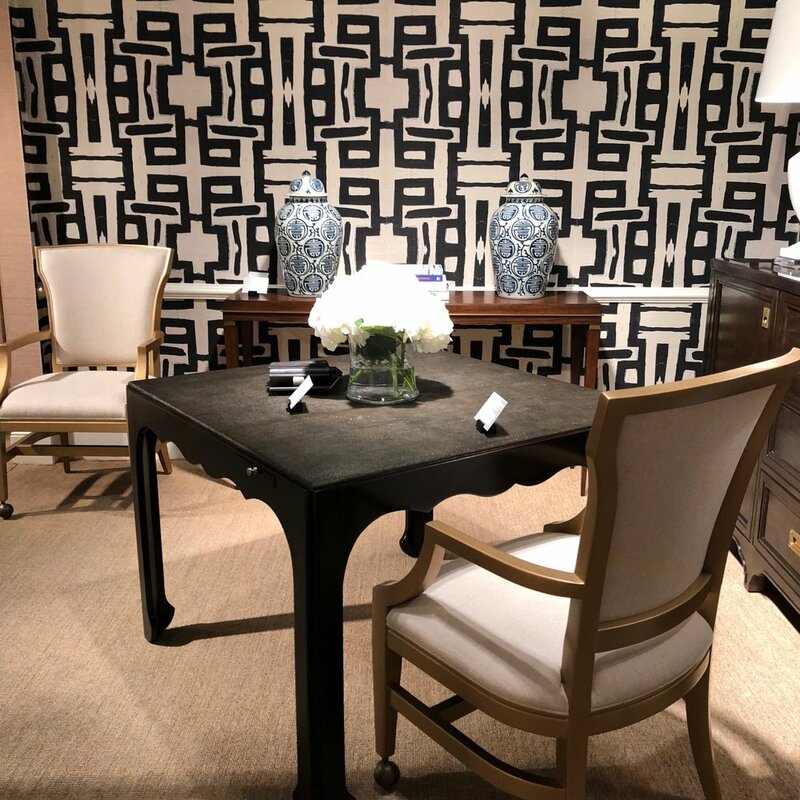 Twice a year the Crimson team heads to North Carolina to catch up on all that's fresh and exciting in the world of design, at High Point Market. Spring High Point is always a blast and this year was no exception. We asked the designers to keep an eye out for the newest trends and cool finds. These are some of the things they're excited about! Cheryl: Anyone who's worked with us knows that we love working with globally inspired textiles and accessories because they add a splash of color to a design and are instantly timeless. We love drawing inspiration from other cultures' artwork and history. I LOVED seeing this trend emerging to prominence at High Point. One of my favorite rooms drew inspiration from Southeast Asia and the Middle East. Just check out this amazing couch. Jessica: I loved all of the globally inspired pieces at High Point, too. 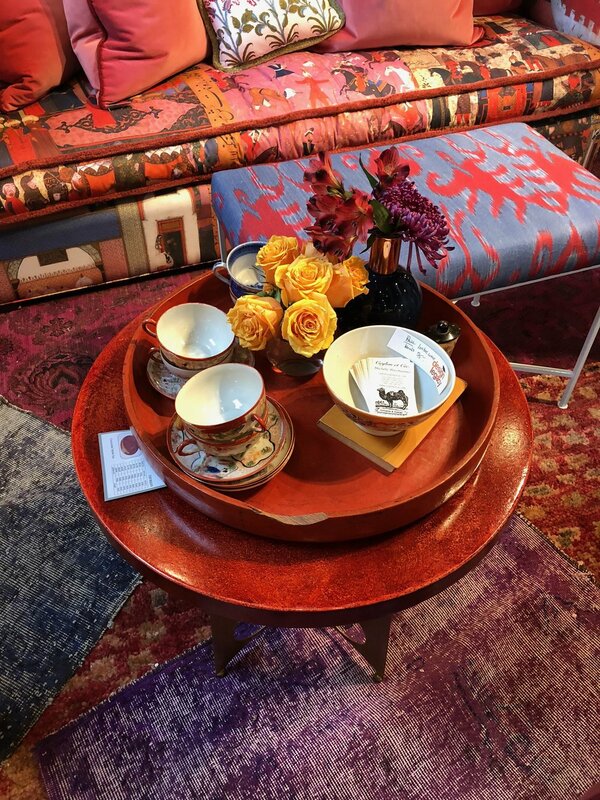 This furniture and these textiles tell a story and create a perfectly curated look in a space. Stephanie: I love how saturated the colors are this year: deep blues, bright yellows, and vibrant oranges! This vignette was one of my favorites: Multiple floral fabrics combined with mixed porcelain plates makes this table setting so fresh. I can't wait to use this in my own design. Heather: There were so many animal inspired accessories this year. I have an adorable cavalier king charles spaniel at home and I saw little versions of her everywhere which was amazing. I wanted to bring all of these home with me! This room was created by Highland House. I love how saturated the walls are (that blue! ), the gallery wall featuring dogs, and how curated it all feels. Cheryl: I was taken with the horse inspired items at Market. I even took some of the figures home (they're in my powder room now!). They're globally inspired and feel very One Thousand And One Nights. Cheryl: Crimson is known for including timeless pieces in our designs. We love sourcing antique pieces locally and from around the world. Adding a credenza that was built by hand in the 19th century to a design adds a feeling of history, meaning, and timelessness to the space. It was amazing to see so many timeless pieces at Market. Heather: One of my favorite things to do is to work with artisans to create one of a kind pieces for my clients that they'll love forever. Working with antique dealers is another way to add a bit of timelessness to a design. 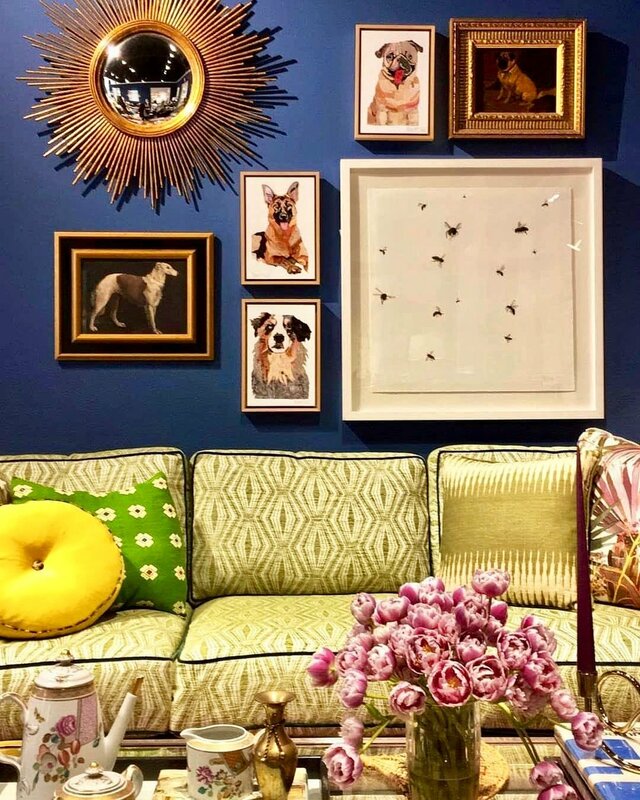 Whether you're creating a one of a kind piece or refurbishing an incredible antique find, that piece will tell a story in a way that's totally unique. Market this year offered so many chairs, tables, bureaus, etc, that were full of history. I can't wait to feature some of these finds in my designs this year! Stephanie: From wall paper to textiles, graphic patterns were everywhere. This trend has been around for a little while, but I still can’t get enough black and white mixed with pops of bold, whimsical color! Jessica: There were so many detailed furniture pieces at market this year. I loved how this coffee table included a graphic pattern, inlaid in the top! What a cool detail and conversation starter.